Bogle Architects have been awarded the Architects Award for Real Estate Project 2016 for their project Villa Vokovice. The project, comprising 59 residential units, underground parking and associated commercial facilities, transforms a derelict farmstead area within the historic core of Prague 6 into an exclusive, luxury residential development. 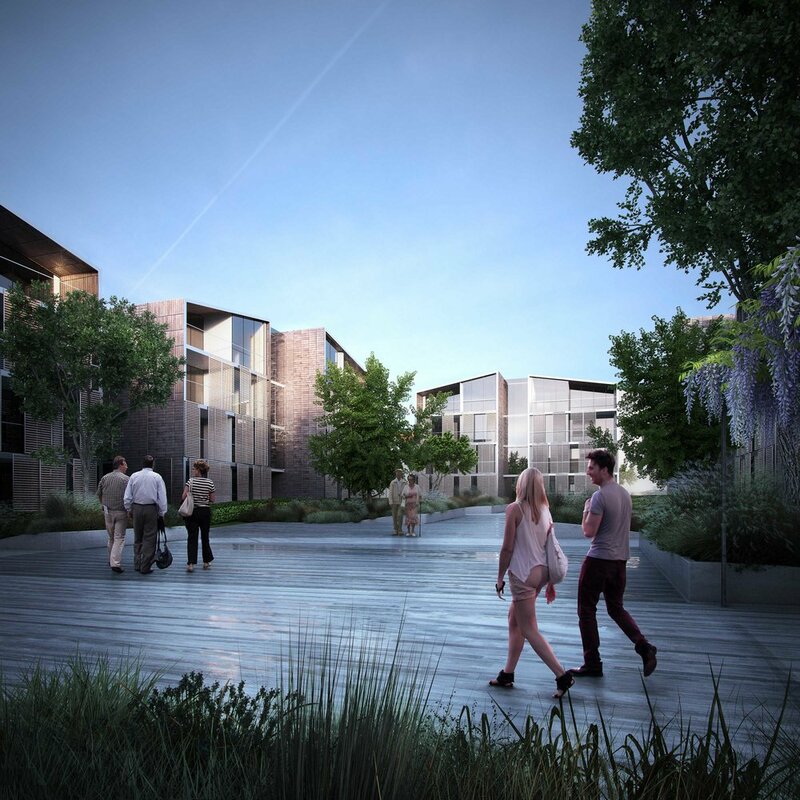 The new apartment buildings are conceived as distinct ‘villas’, carefully positioned amongst the restored farmstead buildings in order to maximise views while maintaining privacy.